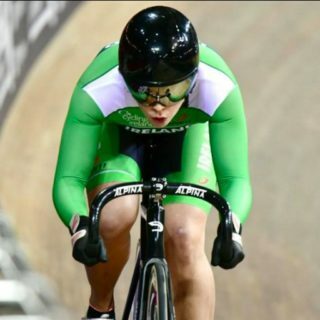 12th November 2017 Robyn Stewart finished 27th in the Sprint event today – qualifying for the 1/16th match sprint finals in the Tissot UCI Track Cycling World Cup in Manchester, UK. Today was the final day of racing in a four-week race block for the Irish team, confirmation of teams for the upcoming World Cups will follow. The Manchester World Cup ran from Friday 10th November to Sunday 12th November. « New Women’s Cycling Website : Have Your Say.